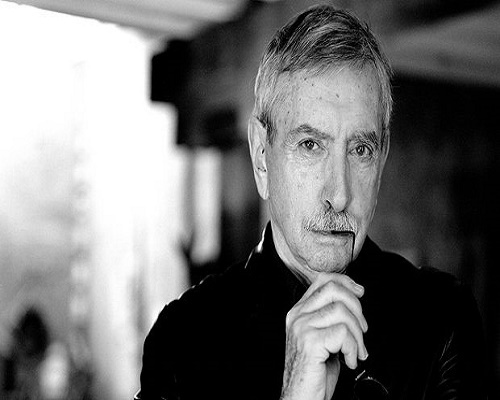 Three-time Pulitzer prize-winning playwright Edward Albee, who challenged theatrical convention in masterworks such as Who’s Afraid of Virginia Woolf? and A Delicate Balance, died Friday. He was 88. He died at his home in Montauk, east of New York, his personal assistant, Jackob Holder, said. No cause of death was immediately given, although he had diabetes. With the deaths of Arthur Miller and August Wilson in 2005, he was arguably America’s greatest living playwright. Albee was proclaimed the playwright of his generation after his blistering Who’s Afraid of Virginia Woolf? opened on Broadway in 1962. The Tony-winning play, still widely considered Albee’s finest, was made into an award-winning 1966 film starring Elizabeth Taylor and Richard Burton. The play’s sharp-tongued humor and dark themes were the hallmarks of Albee’s style. In more than 30 plays, Albee skewered such mainstays of American culture as marriage, child-rearing, religion and upper-class comforts. “If you have no wounds, how can you know you’re alive?” a character asks in Albee’s 1996 The Play About the Baby. Albee challenged audiences to question their assumptions about society and about theater itself. “Plays are acts of protest meant to change people,” he once told the Star Tribune of Minneapolis. He did it with humor and a sense of linguistic delight, using withering barbs and wordplay to hint at deeper meaning. “I think if a writer gets ideas, you’ve got to get them out of your head,” he said. His unconventional style won him great acclaim but also led to a nearly 20-year drought of critical and commercial recognition before his 1994 play, Three Tall Women, garnered his third Pulitzer. His other Pulitzers were for A Delicate Balance (1967) and Seascape (1975). Many of his productions in the years after Seascape were savaged by the press as inconsequential trickery, a shadow of his former works. But after Three Tall Women, a play he called an “exorcising of demons”, he had several major productions, including The Play About the Baby and The Goat or Who Is Sylvia?, which won him his second Tony for best play in 2002. Many of his works had similar things in common: domestic rancor inflamed by booze, a sense of unknown anxiety, a lost child who creates a marital friction, and precise but flailing language that alternates between comic and profound. Estranged from his parents, Albee moved to Manhattan’s Greenwich Village and worked as a messenger for Western Union before gaining notice with The Zoo Story, a one-act play about two strangers meeting on a bench in Central Park. Written in 1958, it was first produced in Berlin, translated into German. With Who’s Afraid of Virginia Woolf? and 1964’s Tiny Alice, Albee shook up a Broadway that had been dominated by Tennessee Williams, Miller and their intellectual disciples. Who’s Afraid of Virginia Woolf? presents an all-night drinking bout in which a middle-aged professor and his wife verbally spar and unravel their illusions during a visit by a younger couple. The play, spiked with dark humor, focused on the interplay between reality and fantasy, a theme that persisted in many of his later works. It won five Tonys including best play, actor (Arthur Hill) and actress (Uta Hagen), and the film version won five Oscars including best actress (Taylor) and supporting actress (Sandy Dennis). Albee also directed the American premieres of many of his own plays, starting with Seascape in 1975. Seascape and Who’s Afraid of Virginia Woolf? were revived on Broadway in 2005, and Who’s Afraid of Virginia Woolf? was revived on Broadway again in 2013. A Delicate Balance was revived a year later, starring Glenn Close. Albee brought back The Zoo Story to startling effect in 2007 with Edward Albee’s Peter and Jerry. The shattering encounter between two strangers in a park the aggressive, almost psychotic Jerry and the bland, middle-aged Peter that is The Zoo Story became the second act of the new work. The first act, based on Albee’s much later Homelife, fleshes out Peter’s character. It was one of a number of fruitful productions around the time the playwright turned 80 in 2008. That year saw the world premiere of his play about identical twins, Me, Myself and I, at the McCarter Theatre in Princeton, New Jersey; a New York revival of two of his early one-act classics, The American Dream and The Sandbox; and the premiere of Edward Albee’s Occupant, a piece about sculptor Louise Nevelson and the cult of celebrity. Albee was honored by the Kennedy Center for the Performing Arts in 1996 for his lifetime contributions. Then president Bill Clinton praised Albee as a man who inspired a generation of American dramatists. Clinton also awarded Albee a National Medal of the Arts that year. Into his 70s, Albee continued to write provocative and unconventional plays. In The Goat or Who is Sylvia? the main character falls in love with a goat. Albee’s longtime companion, sculptor Jonathan Thomas, died in 2005.